Chairman of the Economic Development Advisory Board Dr Terrence Farrell. 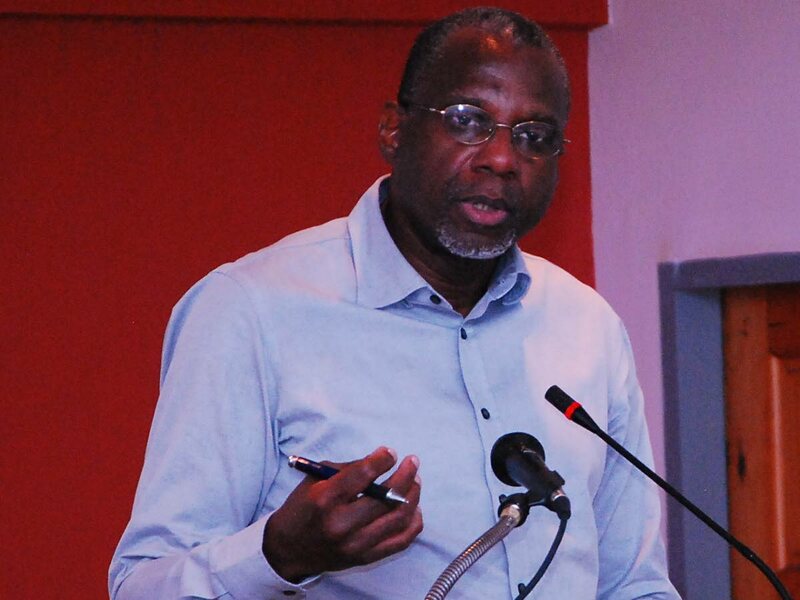 Economic Development Advisory Board chairman Dr Terrence Farrell is calling for policies to diversify the Tobago economy on the basis that oil and gas prices will remain stable. Farrell made the statement at the Tobago House of Assembly (THA) Division of Finance and the Economy 11th annual Tobago Economic and Business Conference 2017 on Tuesday at Magdalena Grand Beach and Golf Resort in Lowlands. He said the Tobago economy has witnessed a serious decline in tourist arrivals which have been affected by the frequent breakdown of the sea bridge. But, according to the economist, the prescriptions for Tobago are quite simple, as he called on the island to focus on diversification. “We need to build and improve the infrastructure; the sea bridge and air bridge, electricity and also ensuring that we have adequate water supply. As we build out the tourism industry here, we have to ensure that we have an adequate supply and a reliable supply. We also need to grow markets and we also need to drive productivity and service excellence,” Farrell said. But Farrell also saw the IMF’s forecast for growth in the energy sector as an optimistic sign for the economy. “The IMF is projecting overall growth in 2018 due to anticipated strong growth in the energy sector as the decline in natural gas production is halted and reversed.” But recovery will be a challenge because even as production improves, Farrell cautioned. The non-energy sector is also expected to contract for a longer period because of persistent foreign exchange shortages, Farrell said. Over the long term the economy needs to become more competitive, indicating the country is low down in the global competitive rankings, Farrell said. He also commented on inflation, which remains subdued because of low demand, unemployment has “ticked up” but is still low and debt is rising because of increased borrowing to cover deficits. Reply to "Farrell: Tobago must diversify"